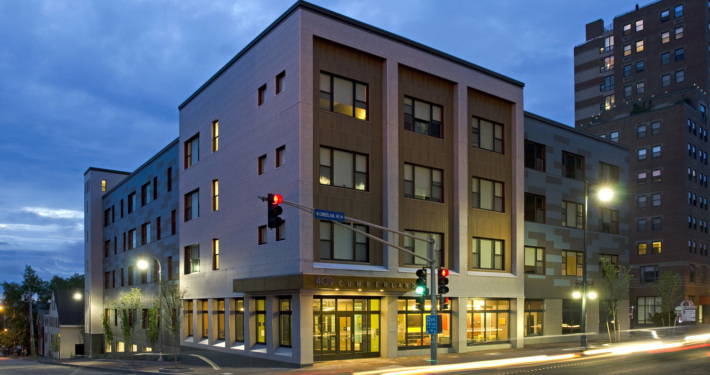 In 2013, Avesta set forth to build an affordable multifamily complex in the Bayside Redevelopment Area of downtown Portland, helping to fulfill another piece of the “Vision for Bayside” Revitalization Plan that was adopted into the City of Portland’s Comprehensive Plan. The Bayside Plan identified multi-family residential housing as one critical component of an urban district. In a neighborhood with 38% poverty rate and 83% low-moderate income people, an affordable housing development was greatly needed. Part of Avesta’s vision for 409 Cumberland included the creation of a community that reflected the priorities of Portland as a whole. 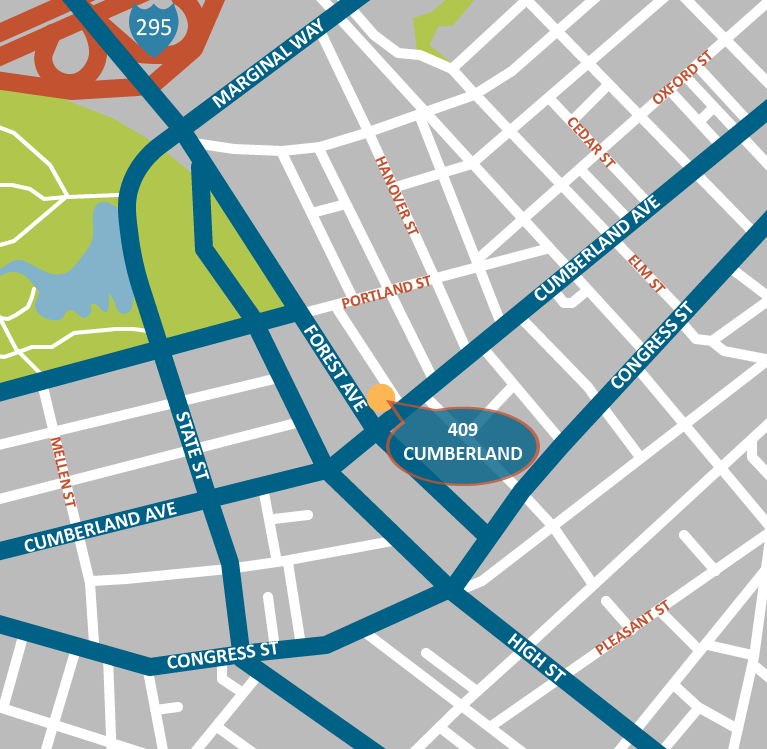 Acknowledging the city’s major focus on health and food systems, 409 Cumberland combines healthy living and an urban location to create a unique and exceptional community. 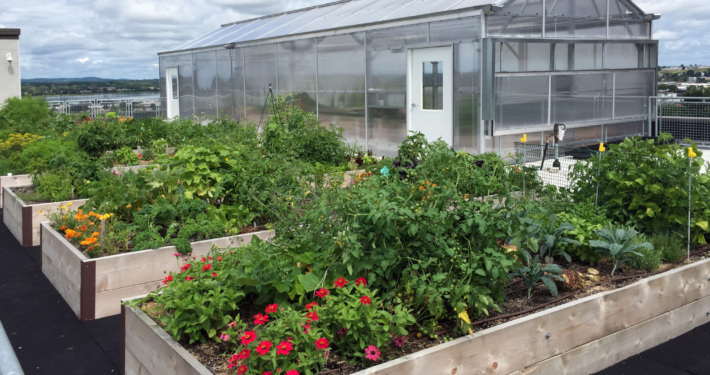 The rooftop features community garden beds and Portland’s first rooftop greenhouse where residents can grow their own vegetables year-round. 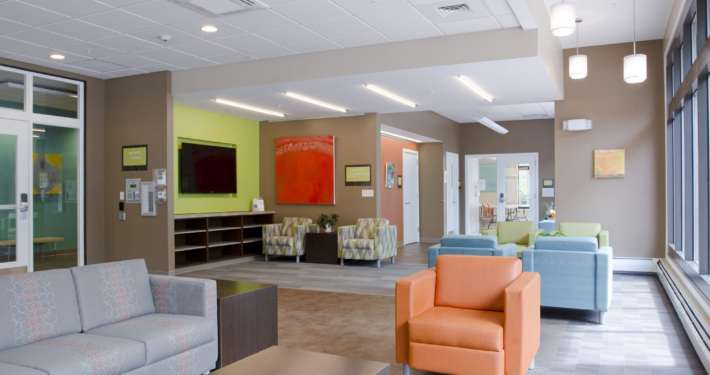 The Healthy Living Center on the first floor includes a demonstration kitchen where residents can learn how to make the most of their harvest, thanks to special programming by local nonprofit Cultivating Community. An Urban Agriculture Specialist from Cultivating Community meets regularly with residents to teach them about gardening (planning, planting, maintenance, and harvest) and cooking (preparing healthy, delicious food on a small budget). 409 Cumberland is in a SmartGrowth location of Portland. Residents can easily walk or bike to the shops, restaurants and services of Bayside, the Arts District, and the Old Port. Designed to serve people of all income levels, 409 Cumberland is ideal for people who want to live healthfully and sustainably in an urban setting.